Bits and Pieces...: We Have a Winner! Thanks so much to everyone who stopped by yesterday to welcome me to PTI. Your warm comments really made my day! Big congrats, Andrea!!! Email your contact information to Customer Service at PTI and they'll get the prize out to you ASAP. ;)Enjoy your goodies!!! Just wanted to share something else with you all. A co-worker recently brought these amazing brownies to work. Ryan and I decided to make them on Monday. They are Peppermint Patty Brownies. So, even if you didn't win my giveaway, you can make these awesome brownies and feel like a winner! Oh my gosh! Those brownies sound awesome! I am a huge Peppermint Patty fan (I have to refrain from buying them, or I just eat the entire bag in a couple of days), so I know I will love them. Next time I need a dessert, I will be making these for sure! Thanks for the idea! Oh my heavens - peppermint patties are my FAVE and these brownies sound delish! I will definitely have to try them! TFS! Hi Anabelle! 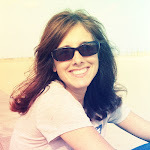 I am the one who won your prize package and want to say thank you for picking such great products! I have just started 'collecting' Papertrey Ink products and all three of the stamp sets were high on my wish list! The only thing that I already had was the Kraft cardstock so I am THRILLED beyond words to win such a fabulous prize! The brownies look delicious and my husband has already said that he wants them for birthday treats! Thank you so very much! What a great picture--you could almost reach in and take one! My mouth is watering. 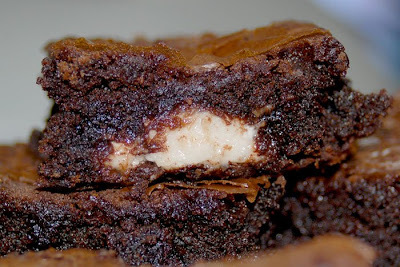 Oh I love Peppermint Patties and brownies so have to make some of these!! Thanks for sharing this recipe! I tried your brownie 'recipe' this afternoon and OMGoodness they are heavenly! Congrats on the PTI :) and thanks so much for sharing your awesome brownies. I am a huge fan of Peppermint Patties, and oh my, do those brownies ever sound good. Thanks for the recipe! Congrats to the winner! That is so awesome that you are designing for PTI!! I'm thrilled for you and green with envy at the same time! Can't wait to see your creations! oh wow! do those look amazing! Chocolate and peppermint! What could be better than that!? YUMMY! Thanks Anabelle! Oh yum! Don't you just love these easy recipes?! I have to try these!